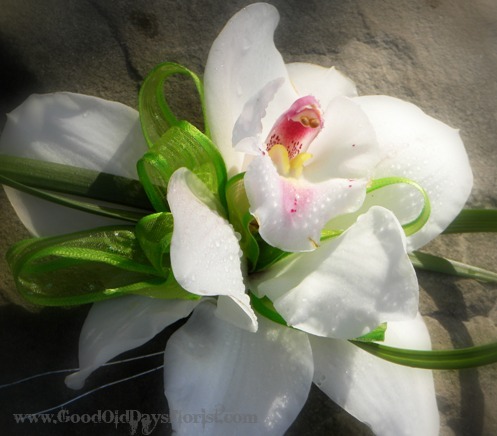 Two cymbidum orchids are detail, composed into a beautiful flower. Star power elegant for sure and one-of-a-kind. So perfect. 70. as a wristlet, corsage, or mini nosegay bouquet. SKU: e7b24b112a44 Category: Corsages and.. Composed orchids are not as fragile as they look. All pastel colors available and brown & olive green!. A single orchid lapel to match for your date 30.